The majesty palm (Ravenia rivularis) is often grown as a houseplant, which is unfortunate as it doesn’t thrive in pots. This is a palm that is well-adapted to being planted in the landscape and should only be grown within its USDA hardiness zones (9b to 11). Planted in a sunny location, the majesty palm grows to a height of 20 feet, providing a striking accent in the landscape. Form a ring out of soil and place it around the base of the tree. It should be 4 inches in height and 8 inches wide and placed 3 feet away from the tree. When you water the majesty palm, fill up the watering ring. Place a 3-inch layer of mulch inside the watering ring. Leave a space of 2 inches between the base of the tree and the mulch. Mulch helps the soil retain water, and it also discourages weed growth. Water the majesty palm daily for its first three weeks in the ground. After that, maintain a moist, not soggy, soil. Completely fill the watering ring when you water. 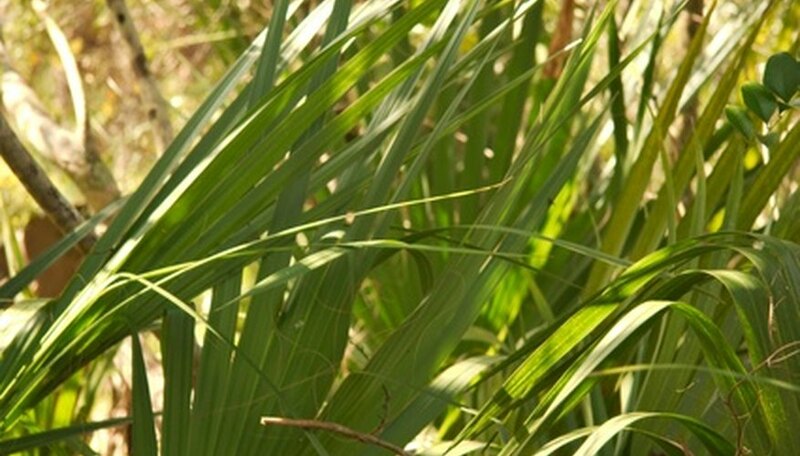 Watch for signs of nitrogen deficiency, which is common in majesty palms. Symptoms include the leaves turning first light green, then yellow. In severe cases, iron chlorosis can turn the fronds white. Use 8-2-12 controlled release fertilizer, according to package directions, to control this disease.